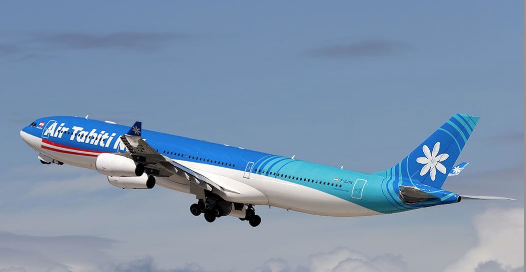 Air Tahiti Nui is the national airline of French Polynesia and is headquartered in Papeete, Tahiti. It operates international services for the low and high-end leisure travel markets. Its main base is Faa'a International Airport, Papeete, and has a route network linking four continents. By Capa Aviation. business and luxury travelers to name the best in a variety of travel-related categories including airlines, hotels, loyalty programs and travel-related products in 71 categories. More than 28,000 people responded. Global Traveler's readers are frequent premium travelers averaging 16 international and 16 domestic round-trip flights a year, with an average household income of $368,900 per year. They spend an average 100 nights per year in hotels, and 76 percent of them regularly travel in business class. Global Traveler�s consistent, unbiased reporting has placed the GT Tested Reader Survey among the most highly regarded in the industry. This year's winners will be feted at a cocktail reception Dec. 12 at The Peninsula Beverly Hills in Beverly Hills, California. For information on the winners, visit	www.globaltravelerusa.com. A complete recap of the night�s festivities will be featured in the March 2013 issue of Global Traveler.